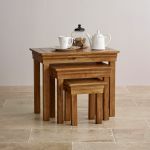 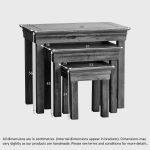 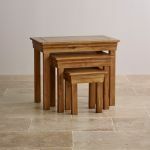 This French Farmhouse Rustic Solid Oak Nest of Tables is ideal for when guests pop round unexpectedly or when you just need a few extra surfaces for drinks and nibbles at a dinner party. 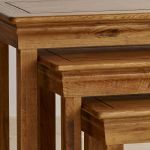 Crafted from premium grade solid oak by expert woodworkers, each table demonstrates all the hallmarks of this popular range; these include elegantly flared cornices, inlaid groove detailing and softly rounded edges. 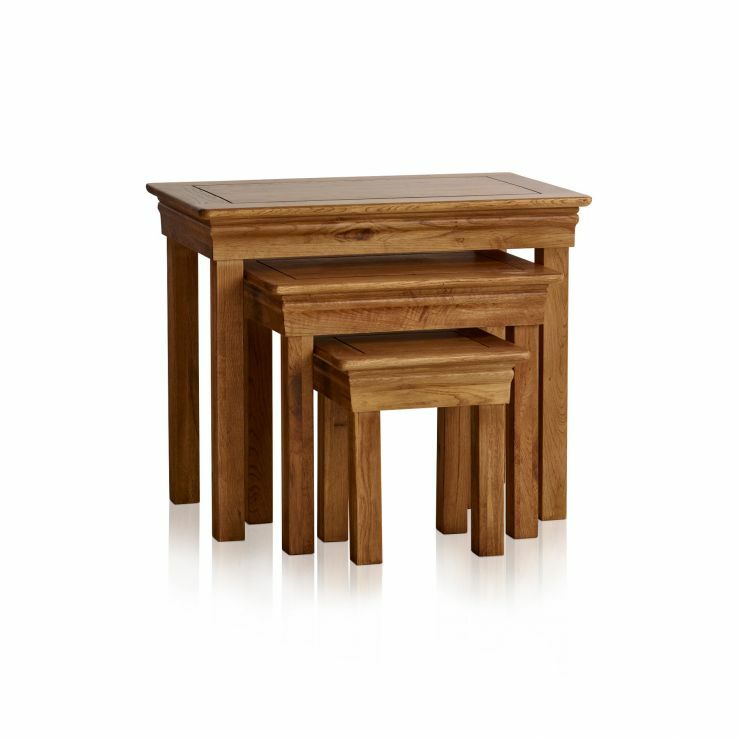 Ideal in the living room, or even a day room, these tables are sure to add a sense of refined opulence and understated luxury to any room. 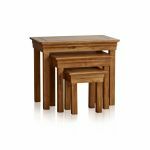 To maintain the natural lustre and keep your hardwood furniture looking its best for years to come, apply clear Wax Polish every three to four months.